The NMHC (National Multifamily Housing Council, the multifamily industry’s largest trade association) published its annual NMHC 50, which lists the nation’s largest apartment owners, managers, developers, and builders. 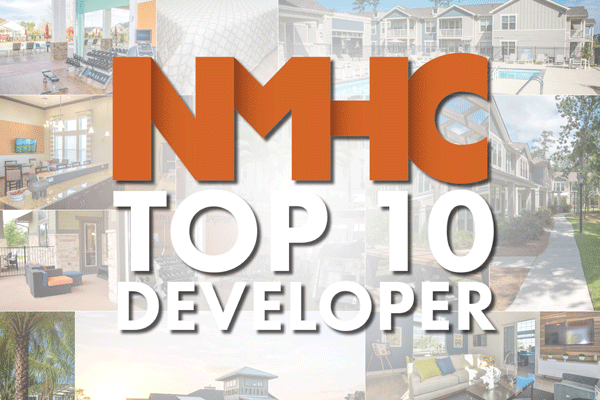 For the third year in a row, Continental made the Top 15 List of the nation’s top developers, ranking as the 8th largest developer based on the 2017 apartment home groundbreakings. The Continental story can, in part, be told by the numbers, which are impressive. We created our Springs brand in 2001, since then, Continental has developed 20,003 apartment homes, 9,551 of which were developed in the past three years. This great accomplishment has been the collective effort of the entire team and our culture. Continental has become a national leader in the multifamily industry as a result of the hard work and determination of our dedicated team. We are proud to provide quality communities and homes for thousands of our residents. With our growth, we have come to see the wisdom of capitalizing on the benefits that come with being a leader in the multifamily industry, including productive and naturally beneficial relationships with land sellers, brokers, municipalities, contractors, lenders, buyers of our properties and, of course, our residents. Congratulations, Continental, on a job very well done!